Size: ¾ in. by ½ in. Desc: 14kt. yellow gold. 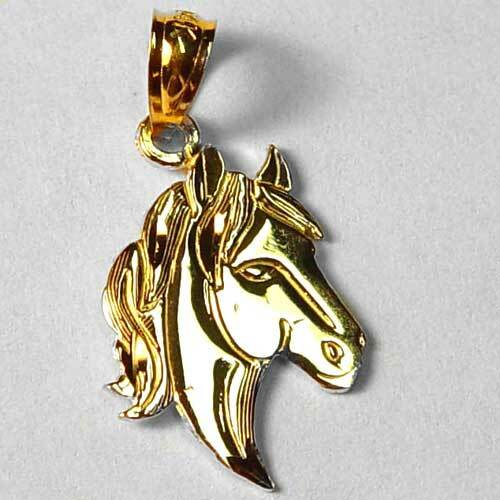 Small horse head charm pendant. The pendant has a bright polish finish and weighs 0.8 grams.